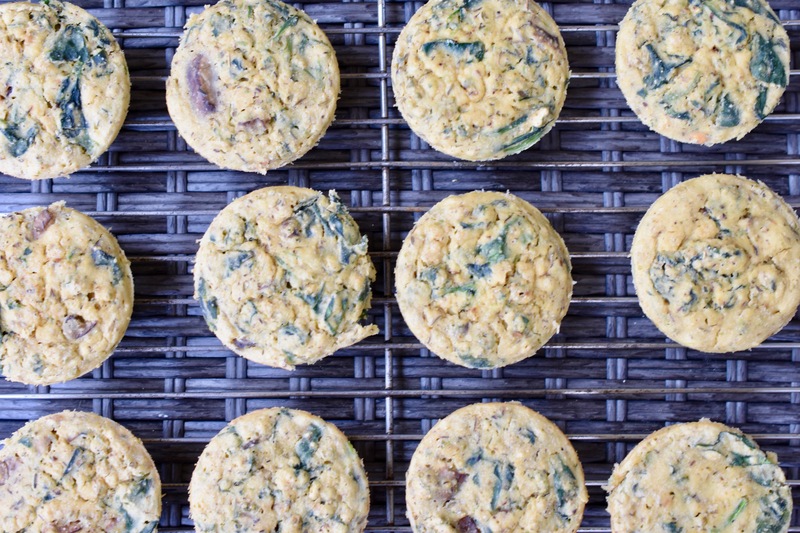 Here is another version of JB’s Savory Muffins/Mini Chickpea Frittatas. The secret ingredient to amp up the mushroom flavor is a little porcini powder. The porcini powder makes all the difference. In a large bowl whisk all the dry ingredients together, until well combined. Add the collards and mushrooms and stir until the veggies is coated and equally distributed throughout the dry mixture. Pour the wet ingredients into the dry and thoroughly whisk together. Pour mixture into prepared muffin tins. Hi Molly. I hope this works better to your liking. Thanks for stopping by Cathryn’s Kitchen.